Did you miss us?! Well, in case you didn’t know we have been on the road exploring Europe for nearly the last month, and dang it feels good to be home. Our journey began mid-June and took us through northern Italy, the Swiss Alps, across the Basque region to the Mediterranean beaches in Spain, over to London and on up to Amsterdam before we flew to Minnesota for a birthday, wedding-filled weekend and then home. We’re home. And it feels amazing. 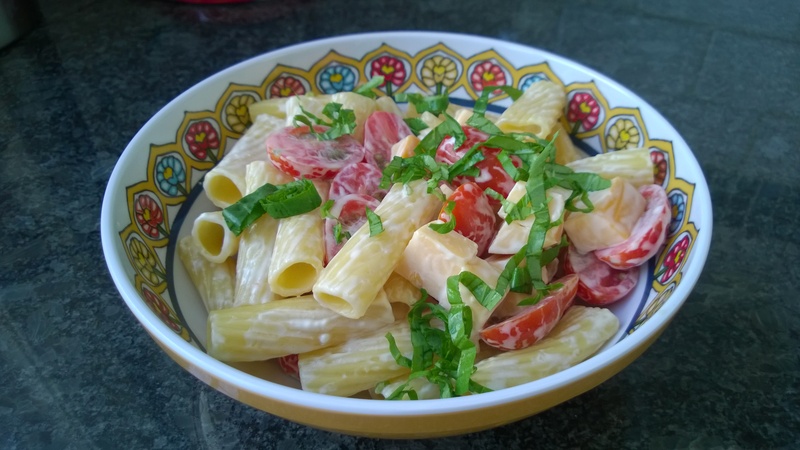 My favorite summer food… It was extra good today! After being gone for four solid weeks it is an odd, surreal feeling to be home again. Our trip almost feels like a dream. Everything else kept moving along, but our Seattle lives were put on pause for a month while we had this crazy amazing experience. Now that we’re home, everything is basically just as it was when we left. It’s a really strange sensation. 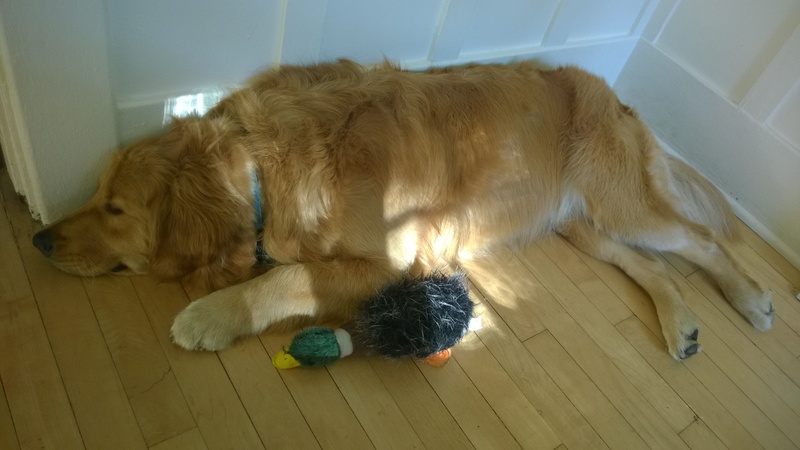 This is what Jackson has been doing since we picked him up… Snooooozing! Henry and Jackson did really well while we were gone. They both missed us and are clearly happy to be home with us now. Jackson is unbelievably tired from his adventures at “camp” and Henry is excited to have some time outside now that we’re back. It is so great to be back with our pets! 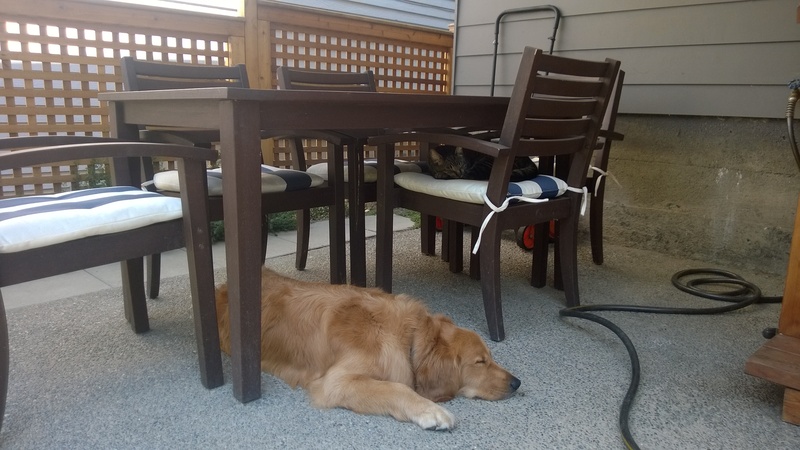 The furballs taking a nap next to each other on the patio. We have a gigantic, enormous to do list that is slowly shrinking… until I think of 4 other things to add to it. One of our biggest priorities is going through the photos we took on our trip. Stay tuned for a chronicle of our travels right here… I hope to start posting as early as tomorrow. This entry was posted in Life, Travel and tagged Europe Trip on July 14, 2014 by Alison Allen.